The Leicester Mercury reports that sales were up 3.3 per cent between August and October. Strong online growth compensated for a slight decline in shop sales, which exclude new stores. During trading yesterday, the share price topped £27 for the first time. There were fears the trade figures would be poor because of the sluggish economy and warm weather hitting autumn/winter clothes sales. 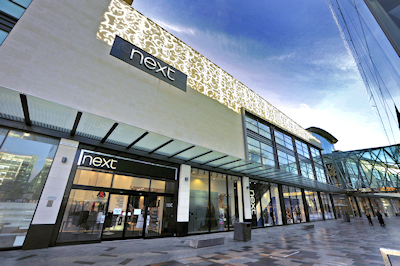 Revenues from Next’s 520 stores actually fell by 3.3 per cent in the three months to October 29, compared with a 1.8 per cent fall in the previous six months. But performance was lifted by its catalogue and online business Next Directory, which saw sales growth of 16.9 per cent in the quarter, from 15.1 per cent in the first half of the year. The group, which said earlier in the year it had been hit by rising commodity prices and higher VAT, was confident of stable prices over the coming months. Profits for the year are forecast to be between £550 million and £585 million, compared with £551 million last year. The Mercury report states that Chief executive Lord Wolfson said the mood of consumers remained subdued, especially on big-ticket items such as electrical items, sofas and furniture. The clothing side had been less affected, he said. The online business was boosted by strong growth overseas, he said. Shares jumped by 6 per cent immediately after the update. Also quoted is Grant Oliver, managing director of stockbroker Thomas Grant and Co, in Leicester, who told the paper the success of Next had been remarkable, but feared the global economic turmoil if Greece defaults on its debts could cause havoc in the markets.